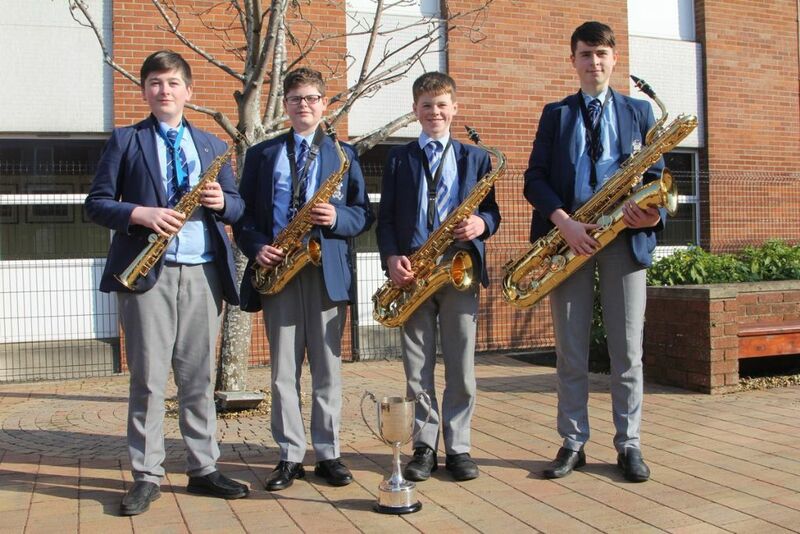 Congratulations to our Saxophone Ensemble (Paul O’Hare, Brendan Torley, Thomas McKey & James McKinless) on winning Class 64 Woodwind Ensemble U-18 and the Geordie Berry Memorial Cup at Newry Musical Feis. Thanks to EA Music Service Woodwind Tutor Mrs Krista Gallagher. 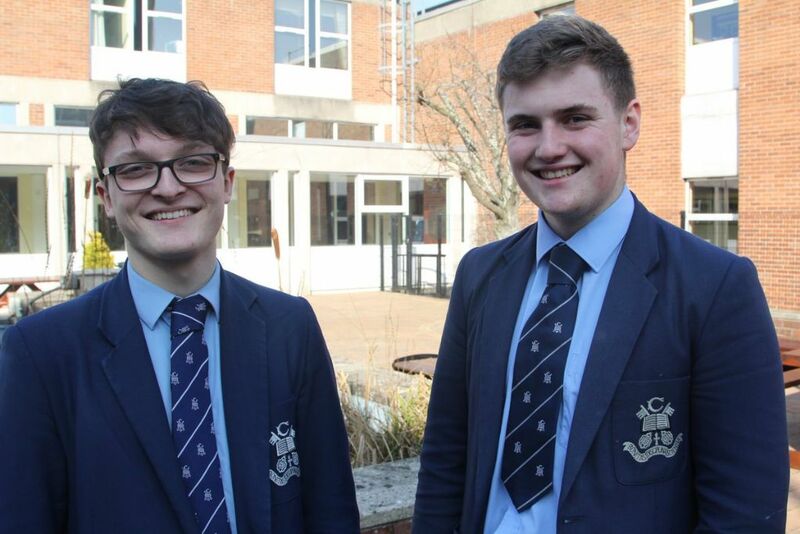 Congratulations to Charlie McCartan (Yr 14) and Eoin Cassidy (Yr 13) whose work was chosen for performance by Chamber Choir Ireland on Friday March 1 at the National Concert Hall, Dublin. The Gala Concert concludes the ‘Composers in the Classroom’ project 2018-2019. Thanks to Mr Conor Kelly, representing Kellys Group, for generously sponsoring kitbags for our All Ireland Paul McGirr Campaign. Pictured receiving the cheque is VP Mr Doyle. 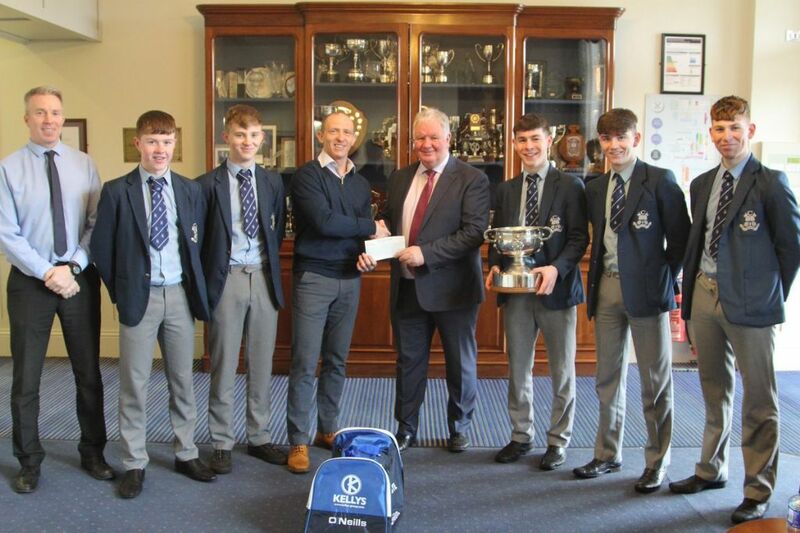 Also pictured is Coach Mr McEvoy and some of our Rannafast winning footballers. Good luck to our Rannafast Players and Management in Saturday's All Ireland Semi Final vs St Gerald's, Castlebar. The game is in Clonguish Co Longford at 2pm. 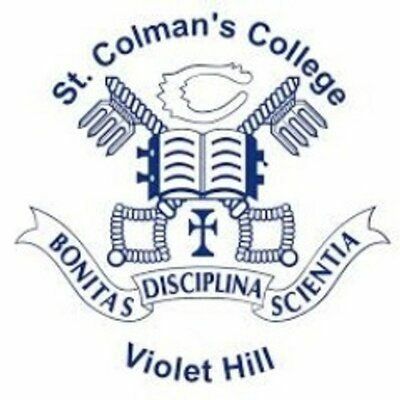 St Colman's won the Rannafast cup on Sat 1st Dec - beating St. Patrick's College, Cavan 3-10 vs 0-09. 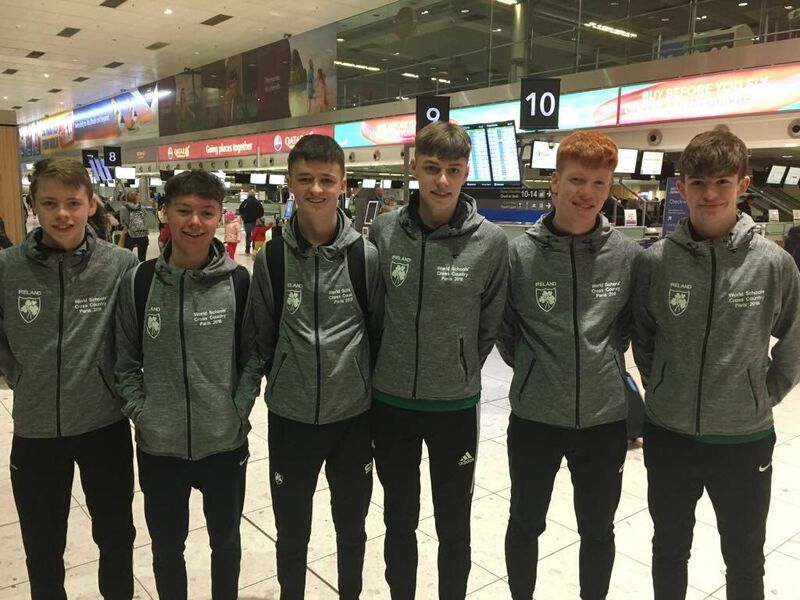 Well done to our J1 Quiz team comprising of Oisín Gambold, Ryan Mallon, Michael Sloan and Owen Killiner who won the Credit Union School’s Quiz held last Friday in the Canal Court Hotel and progress to the regional final in March. Thanks also to coordinator Mr Stevenson. 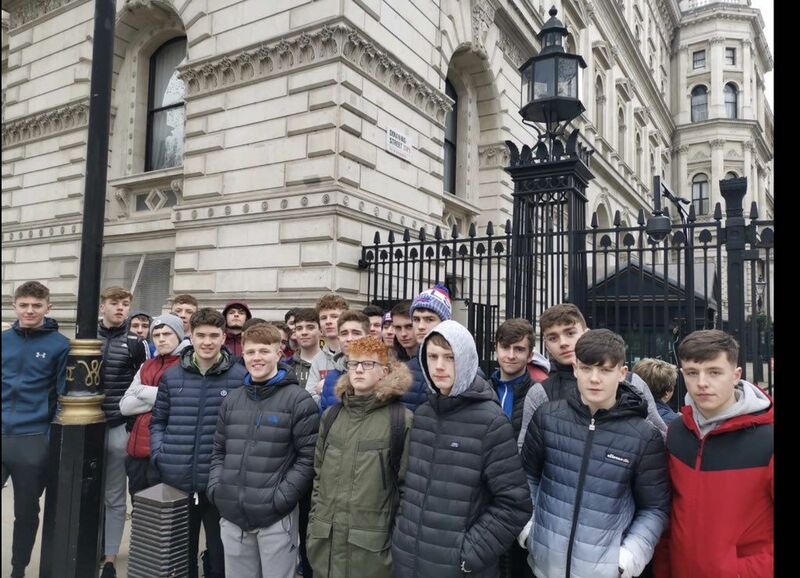 Good luck to the selection of our students and staff who are in London this week on a Business Studies trip. This trip offers our students a superb opportunity to see the sights of London and pick up many pointers relevant to their course in one of the busiest hubs for business across the globe.